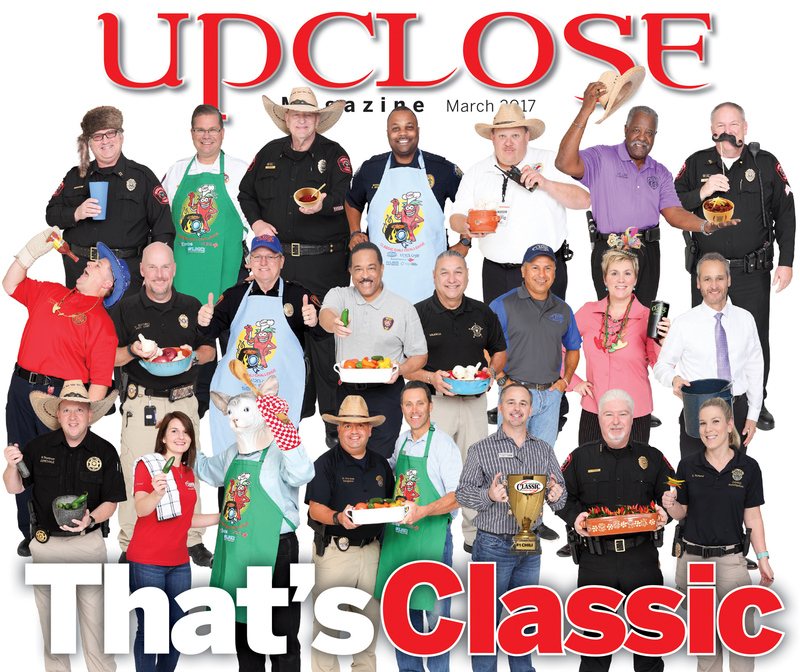 The Best Chili in Fort Bend! Is It Yours? 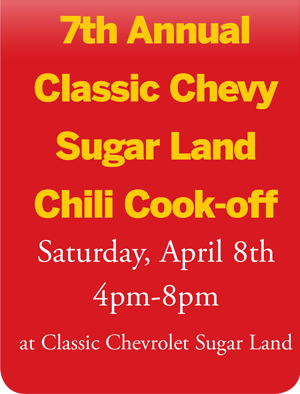 Bring your “Spicy,” “Specialty,” “Texas” or “Bean” secret recipe to the Classic Chevy Sugar Land Chili Cook-off on Saturday April 8, 2017 from 4-8pm for a chance to win cash, trophies, and serious bragging rights. Teams need to submit a $100 entry fee per category or tent space. Be sure to register in advance, space fills up quickly! 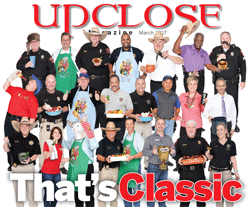 Then bring the heat, the sweet, and everything in between…three gallons of your best chili for the competition (which must be cooked on-site in accordance with Health Department regulations), along with decorations for your booth. You can enter in as many categories as you wish! Oh!…and bring the kids for jump houses, hoola hooping, dunking booth, Zumba dancing and many family friendly fun games. Please note that since the Cook-off has doubled in size, ALL parking will be next door at Sugar Creek Baptist Church.